Now, if you need to make your jacket your own, this is the place! Choose the jacket color, font, AND letter color. 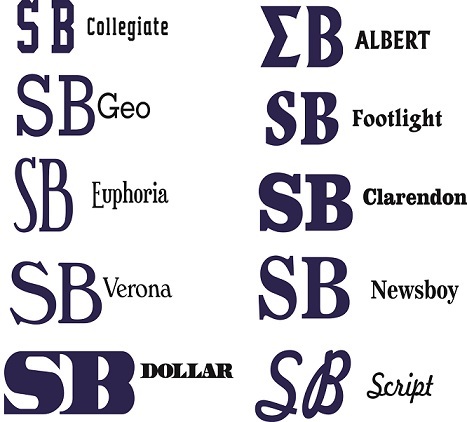 The "SB" stitched letters are 5" tall each, double color, and are stitched vertically down the right side of the jacket. "SBC" letters are 4" each. Choose the decorative shield or new logo to be embroidered on the left chest of the jacket. The crest is pictured in the box, and decorative shield is shown on the jacket above. Add extra embroidery around the shield or logo too - up to 20 characters. 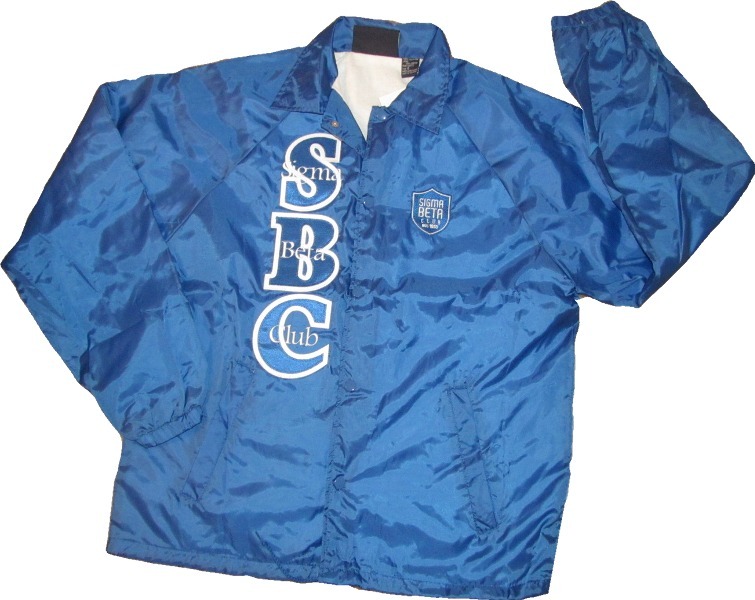 Shown: Royal Blue jacket, Royal Blue Letters, White Letter Background, SBC Stitched On Letters, and Footlight Font. *Check out the "Colors and Lettering Choices" section for embroidered font samples.